No, it's not some kind of futuristic Nissan bike / sled / Body by Jake appliance. 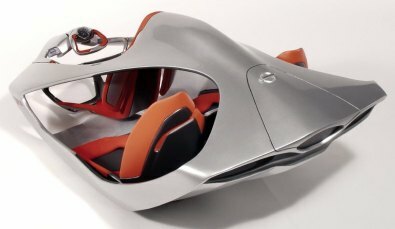 It's a conceptual interior — one among nine winning entries from Germany's Pforzheim University, in a design challenge by Nissan Design Europe. The students, from the university s Transportation Design program, were bid to create vehicle concepts that would meet customer expectations in 2015, when — we suspect — great abs will just be a matter of commuting.